2 en-suite double bedrooms sharing a fully equipped kitchen. 1 flat-let with double bed, shower & fully equipped kitchen. 1 large en-suite bedroom with four beds. 1 double en-suite bedroom, wheelchair friendly. 1 en-suite double bedroom with curtained room & 2 bunk beds. All rooms have microwaves, bar fridges, ceiling fans, mosquito units, picnic tables, two chairs and private entrance and easy access to the house if guests wish to participate in cold or hot breakfast. DSTV lounge, small conference room and bar, easy access to the patio where guests can sit and relax, having breakfast, or sundowners, whilst stimulating the senses with a panoramic view over nature at its best! 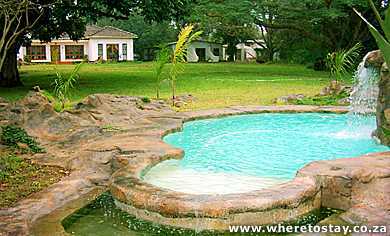 Relax by the rock swimming pool and/or utilize the barbecue area. Marnik Lodge is 5 minutes walk from the golf club which also offers tennis and squash and a curio shop. A restaurant, bird park and plant nursery is a few minutes drive away. Marnik Lodge is centrally situated with St Lucia village 15km away and the Imfolozi/Hluhluwe game reserve is only 30 minutes drive away. Cape Vidal, north of St Lucia offers great fishing and snorkelling. 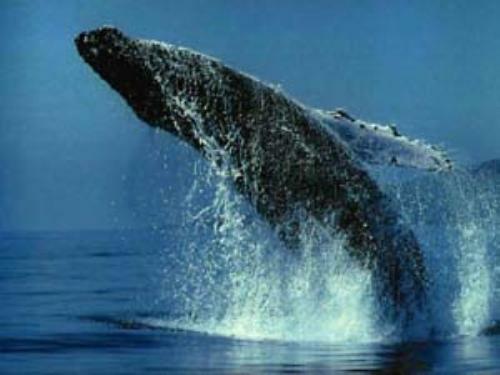 Other attractions are Whale watching and Turtle Nesting tours, in season, daily pleasure boat trips on the St Lucia estuary as well as Walking Trails. Marnik Lodge will be only too happy to assist in the booking of these as well as horse riding, kayaking, deep sea fishing and off road trips. Marnik Lodge sets out to create a home from home atmosphere in the peace and quit of country life, with the main objective to spoil you to the extent you do not wish to leave, but will definitely return. 15 Km from St. Lucia Village, beaches, Lake St. Lucia and entrance point to Cape Vidal. In a secure country atmosphere. Walking distance to nearby Golf course, Squash & Tennis court. 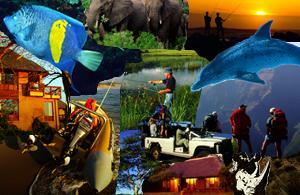 Close proximity to big 5 game reserves. Minutes from the Cane Cutters restaurant in Monzi. Minutes from an exotic African Bird Park, curio store and cheese & wine picnic outing. Close to St. Lucia restaurants, shops, banking and foreign exchange outlets. Close to Doctors & pharmacy. St. Lucia fruit & craft market as well as the crocodile research centre. Minutes from a Zulu Cultural Village. Nearby wetlands, open water pans & grasslands. Close to Fanies Island & Charters Creek for birding, picnic areas & fishing. Within collection point for all guided tours on the Elephant Coast incorporating St. Lucia Wetland Park. Thirty-forty minutes drive to Richards Bay Harbour as well as airport. A small conferencing facility is available for corporate or group break- aways in a country atmosphere with all the excitement of the Elephant Coast for team building. Catering & beverages can be arranged via your host Anita Kruger. Marnik Lodge B&B can cater for lunches & dinners on request (with your favorite tipple stocked in the lounge bar). 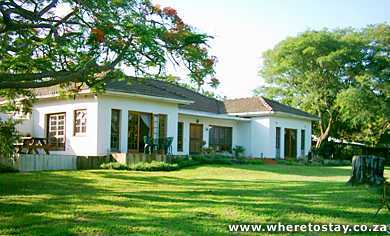 Accommodation Rate: Bed & Breakfast R180-00 per person per day.